CLOSEOUTS. 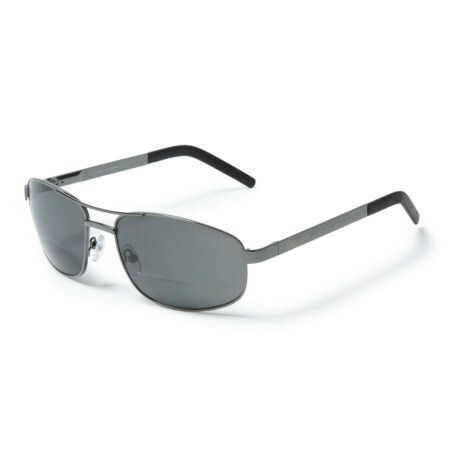 Coyote Eyewear BP-16 reading sunglasses deliver the magnification benefits and glare-reduction of polarized, bi-focal readers lenses in a double bridge, aviator-inspired design. Available Colors: GUNMETAL/GRAY. Sizes: 1.5, 2, 2.5.